Ans. => When I was a teenager, I developed a taste for writing at 16 when I wrote my first ever screenplay, a sequel to the 1987 cult horror “Hellraiser”, it was a terrible script and my youth showed in the style, format and the plot. But it was a start and it laid the groundwork for me to shape up my writing skills to what they are now. Writing is like a journey, and you grow wiser to yourself and the art of crafting a story as you go along. Ans. => It took me a few months to write it out, I was adapting the book from one of my old un published screenplays I wrote several years back, it helped the writing process of the novel flow much smoother and with the combination of old ideas from the script and new ideas for the book, it was a quick book to write and very fun, it was an enjoyable experience expanding on the screenplay and turning it into a novel, fleshing out the scenario and the characters. Ans. => I'm a workaholic, I try to get as much work done as possible. I write as much as I can in the morning, have a break in the afternoon, then carry on writing from late at evening to the night. What brought you to write this book? Ans. => Much like “The Woman and The Boy”, I owe the creation of “Love Struck” to my eternal muse, Margie Newton. She starred in an Italian romantic comedy back in 1986 called “Una tenera follia”, which means “A fine madness” in English, interestingly enough in some territories, it was released as “Lovestruck”. I enjoyed the sunny locations and the crazy love triangle between the three main characters, one of them Margie who was as beautiful and alluring as ever in the movie, and I wanted to do a homage to the film and a love letter to her, and her acting career. The location and the love triangle in the book are inspired by the film, everything else that happens in the story is its own original thing, I took the concept of a holiday on a island paraise between two lovers who get torn apart when the guy falls in love with a new guest at the resort and made it my own. My book is a romantic epic, a fairy tale for the modern age full of love, tenderness and madness. Just sit back and immerse yourself in the passion, the heartbreak and the humour along the journey of the three characters. And to add even more madness and complications for the love story, there is in fact a fourth man, which further adds to the comedy and the tragedy at the same time. And the other book, “The Author”, that was inspired by a French new wave director I admire very much, and his many great works over the years, from 1958 all the way to 2011. His films are works of art, thrillers that have great character studies with plenty of family drama, domestic conflicts, personal turmoil, romance, passion, murder, and of course, a satire on the Bourgeois lifestyle. My book doesn't have the satire, but it does have all the other boxes ticked as a loving homage to a great legend of a filmmaker. It is a deep character study on how society can break someone down, turning them from a loving soul to a bitter shell, the book centers on a woman who has given everything to her husband, stood by him through the darkest of times, hoping some day for the light to come back, but with each day, she realizes that it will never happen, she loses faith in her abusive husband who falls deeper into an inescapable pit of despair and is dragging her down with him. She is forced to make the hardest decision, to escape from him and when she does, she begins seeing the world in a new light with a romantic, loving author who has dedicated his life to his work, but never to himself, until he meets her, and discovers the true joy of living and the real romance of love. But the love story doesn't last forever, her romance is brought to a halt in a tense ending, when the husband tracks her down with the intentions of taking her back, and she is forced to make the ultimate sacrifice to be with the man she now loves. It has everything: drama, romance, passion, love, dilemmas and thrills, enough to hook any reader from beginning to end. How you become a published author? Any inspiration? Ans. => A vareity of different things, sometimes things in the world gives me ideas, sometimes it's a film or a book, sometimes it's from my own imagination in overdrive creating a possible new idea to delve into. There are endless sources to create ideas, many times they come to you when you least expect it. Ans. => This story is becoming quite famous with my origin. I've said itn so many times now, I know it off by heart. I wrote my first book at 16 after dropping out of college, an awful experience that was (college, not writing the book). It was a gritty urban splatterpunk novel called “Warriors of the Night”. Looking back at it now, it’s evident how inexperienced I was as a writer then, I still cringe at it. The book is a crazy, gonzo mess of different genres all thrown into a blender to make one insane story. It would be nice to have it published just as a curiosity, but I think the outlandish gore puts publishers off, Ecanus included. Maybe one day it might be possible for authors to see the origin of a budding young author and see the difference between it and my later work as an adult. It would probably make an entertaining read, one of those books in the style of a cult b-movie that would’ve been shown on BBC’s moviedrome with Alex Cox. A privilege that would be. This will be the fifth time I spoke about this now, (laughs) and I'm sure not the last. Ans. => I usually try to unwind and take my mind off writing for a little bit, I sit back, listen to some music to relax, play a videogame to keep my fingers busy or watch a film to get my creative juices flowing for any possible future ideas. How many books have you written? Which is your favourite? Ans. => I have written 15 at the moment. Like director Robert Altman, I tend to favourite each and every one, especially the recent one I've just completed. 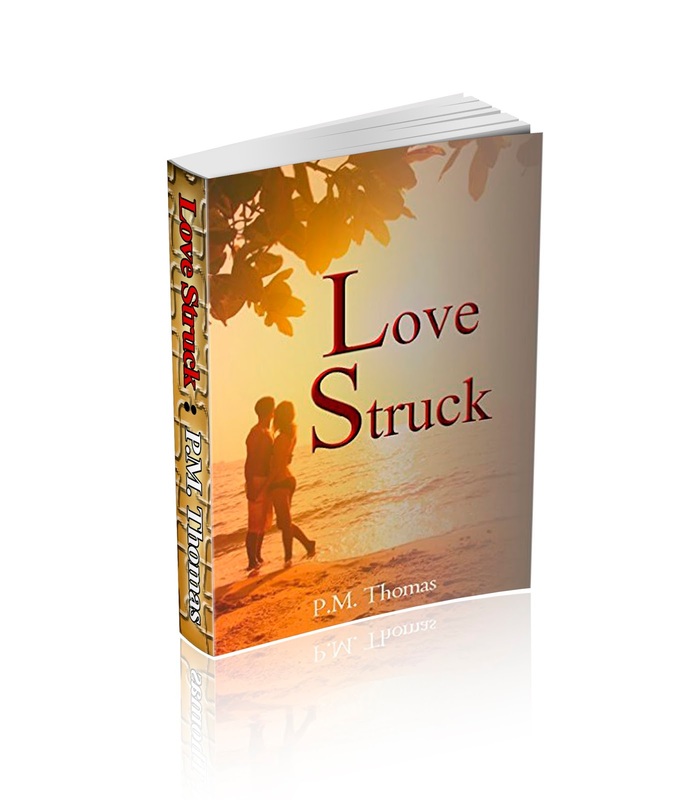 So right now, “Love Struck” and “The Author”, my most two recent published books are my favourites, it's a satisfying feeling to have written them and have them available for the the public. What's next for you? What are you working on now? Ans. => I recently finished another book, a novelization of a screenplay, I can't say more than that at the moment. Now that the manuscript is completed, it's just a matter of waiting now to see if the rights can be secured for it to be published. Fingers crossed it can. If not, well, it was a fun writing project to work on. To provide Authors with as much EXPOSURE as possible! We also want to satisfy our readers and we believe that together we can do just that! Cassie Pup Takes the Cake? ?